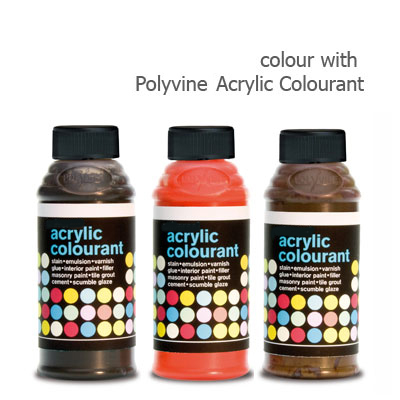 Mix 50g acrylic colourant into 500ml metallic shimmer. Ensure the product is thoroughly mixed. Try a small test area first. Apply 2-3 coats as required with a good quality brush. Roller and spray application - refer to technical data. On porous surfaces dilute the first coat with 10% water.